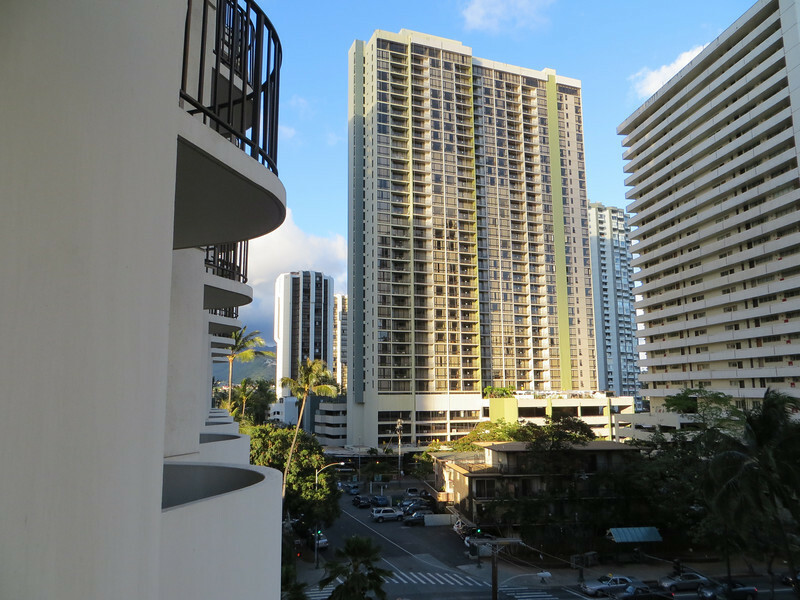 Because we made our hotel reservations through Norwegian Cruise Lines when we reserved the cruise itself, the package included transportation to our hotel--again, the Marriott Waikiki Beach. Our room this time was pretty close to the one we had before the cruise. This was the view in one direction from our balcony. The little light green roof in the bottom right corner is at the bus stop where we got the bus for our expeditions. Honolulu has a very good bus system and senior citizens only pay $1.00 if you show your Medicare card.